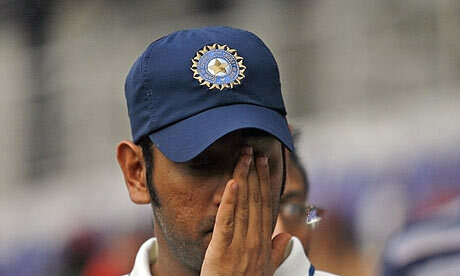 Yet, another defeat for the Indian Cricket team by the hands of Sri Lankan Cricket team. I think Sri Lanka deserved this victory, they did show commitment and thirst towards winning. Where as Indian team wrote a letter to BCCI that they are tired. This shows how much they concentrated in the game. The final between India and Sri Lanka was played today where Sri Lanka won and the toss and chose to play. Right from beginning, we could say Sri Lanka was giving everything from their end. The batsman scored very easily and the land mark in the Sri Lankan batting will be the contribution of Dilshan and Sangakkara. Dilshan scored a century and Sangakkara completed his half century. India were given a target of 300 to win and take the Micromax cup home. India did came to batting but were as usual going deep low. The first to go is Karthick who scored a duck. The most trusted Indian Batsman who rescued India all the time Virender Sehwag was out on 28 runs thanks to run out. This marked the beginning of the collapse for India. The out of form and self pride Yuvaraj singh was playing like a beginner. Many times luck favored him but still the left handed batsmen only scored 26 runs before falling to Perera. Che, i believe perera bowled really well. Indian Captain tried to rescue the innings, but the lone warrior couldnt rescue the team and he was the 9th wicket to fell. Match ended with Sri Lanka completely knocking Indian team for 225/10 and are the winners of the Micromax cup. Congrats to you Sri Lankan Cricket team for good show. As far as Indian team, i am sure they are at the verge of Mental collapse. If your an Indian supporter don’t hope that they will win the World Cup 2011! David Beckham in Another Cheating Scandal ? Stop Producing Movies, Kollywood's Solution to Piracy! How to follow Rajinikanth at Twitter? There are 3 more Avatar Movies?!? Zoe Saldana & Sam Worthington are in! Nick Griffin BNP Leader Declares Bankruptcy!